Arthur’s Way is a heritage trail across northeast County Kildare that follows in the footsteps of Arthur Guinness. I first discovered the signs for “Arthur’s Way” when I was biking along the Grand Canal near Hazelhatch. This created some interest and the trip has been on my to-do list for some time. 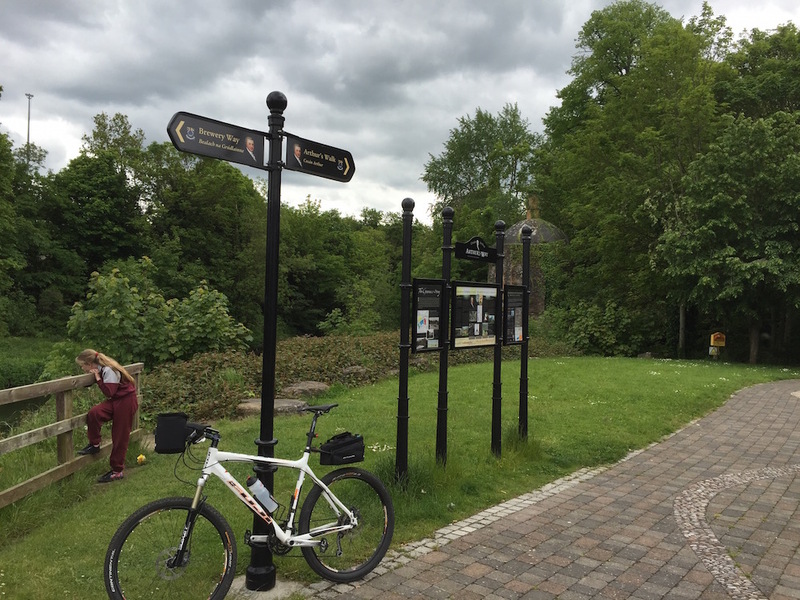 After a couple of “test rides”, I managed to follow the route from the start in Leixlip to Oughterard graveyard. 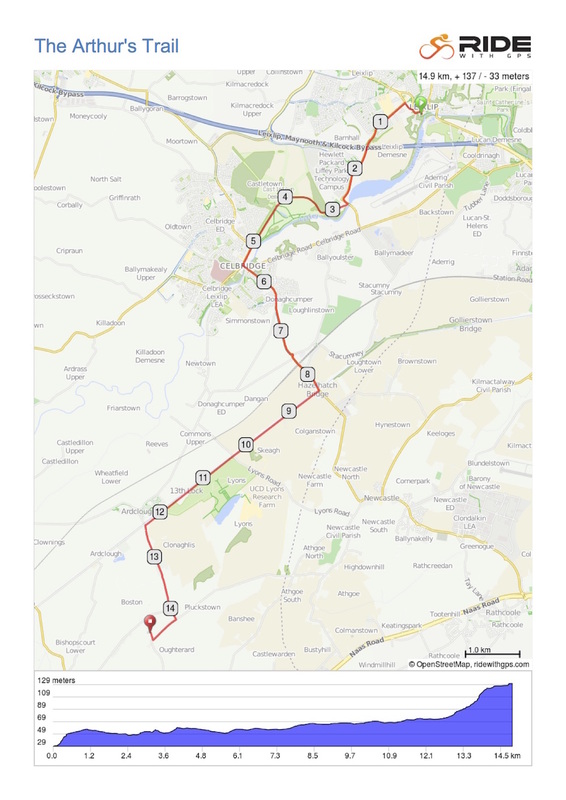 The route starts in Leixlip. 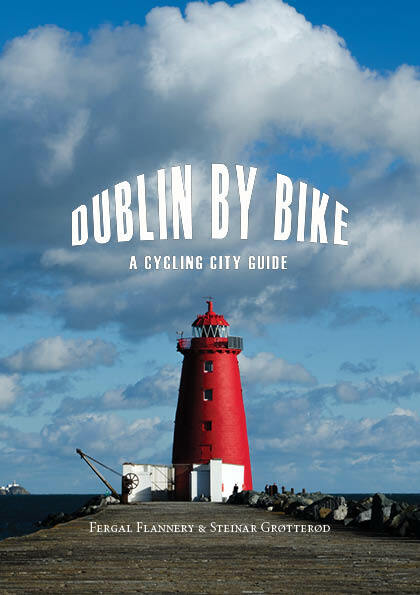 You can take the bicycle ride from the Dublin city centre (approximately 20 km – depending on what route you take) or bring your bike on the train. Leixlip is connected to Irish railway on the Dublin-Sligo line. From the start of the trail (see picture) you can follow the direction “Arthur’s Walk” indicated on the sign if you’re a pedestrian, but bikers need to follow the Main Street direction west, thereafter up the Old Hill. At the top you will see the a familiar sign of “Arthur’s Way” pointing you to bike south-west on Celbridge Rd. You will cross the M4 and see the offices of Hewlett-Packard on your right. Shortly after the roundabout another “Arthur’s Way” sign point your direction and you need to turn right into a small road. You’ll follow the small road to the gate of the Castletown House Park. The Castletown House is an astonished mansion and you will immediately think about classic English films and TV series. The Castletown is Ireland’s largest and earliest Palladian style house. The House was built between 1722 and 1729 for William Conolly, Speaker of the Irish House of Commons and the wealthiest commoner in Ireland. From Castletown House you will follow the avenue and enter the village of Celbridge. You cross the bridge and are on the route (R405) to Hazelhatch. The Hazel Hatch Pub is an excellent place to stop and enjoy a pint of Guinness. From the Hazel Hatch Pub you will follow the Grand Canal. Some part of the track may be slippery when wet, but shouldn’t be any problems biking. The rout passes the Village of Lyons – still biking by the Grand Canal. At Henry Bridge you should turn left in direction Oughterad. There’s a “Arthur’s Way” sign pointing you the direction. You have to park your bike by the gate in to the graveyard and walk to last 200 meters. Leixlip. When Arthur Guiness first set up the brewery at Castleview in 1756, it began a relationship with Leixlip that has existed for over 250 years. Arthur was responsible for developing the brewery site by the river, and also the terrace of houses around what is known as Ralph Square. If you have the time and the Castletown House is open for visitors, take a tour investigating the house and the surroundings. The wildlife along The Grand Canal. You may discover some rabbits and herons in addition to beautiful water lilies in the season. You should not have any problems finding a good place to eat or drink in Lyons. Oughterard graveyard - Arthur Guinness final resting place.